The Gators were unable to ride the momentum of being nationally ranked for the first time all year into a victory over the visiting Stanford Cardinal. SF State fell to Stanford 33-8 in their dual meet at The Swamp Saturday afternoon Jan. 25; the Cardinal came into the match up ranked 25 in Division I wrestling. Seniors Isaiah Hurtado and Dylan Phillipy scored the only victories of the day for the Gators, as the team jumped out to an early 8-4 lead. But things went south in a hurry, as the Cardinal would win the next seven matches — including two by pins. Even with this loss against Stanford, the Gators’ spirits remain high as they are in the midst of their most successful stretch of the season, with wins in six of their last eight meets, including three victories over top 11 ranked schools. 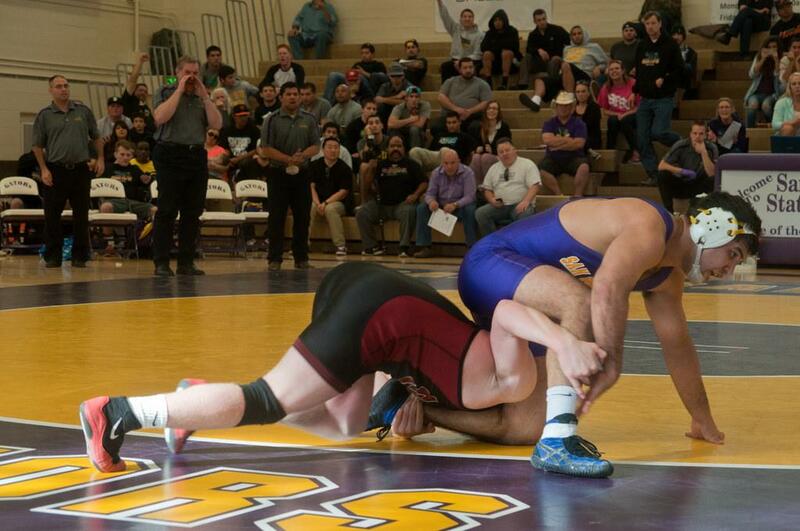 SF State’s recent string of huge victories has vaulted them into the top 20 national rankings. The Gators are tied for 19 in all of Division II wrestling with the latest poll released Jan. 17. Not all Gators view their low ranking as a negative, though. SF State will have six days to recuperate before their busy weekend with they have two duals and a tournament in just two days. They will host Cal State Bakersfield and Simon Fraser Friday, Jan. 31, and then the California Collegiate Open the next day Feb. 1, all at The Swamp.